The sky was turning from crimson to blue as the neon lit Madison Square radiated like a fairyland. The streets were packed with people and cars as the traffic slowly crawled. Sameer looked out of his 60th floor apartment on 23 Street in New York City. It was an opulent house with three huge bedrooms and décor befitting a prince with the best Italian marble floors, the Iranian carpets and the Belgian glass adoring the small bar. He walked over to the bar and made a drink of dry gin and martini, to sooth his parched throat and unsteady nerves. He had just returned from the court hearing from the Eastern District Court at Brooklyn. It had been an intense day with long hours of questioning and cross examination. The judge William Hayes Jr had reserved the judgment on the next Monday at 11 AM. A series of thoughts floated past like clouds through his overworked mind. He was a pampered child being the only son of a senior government official with two other siblings his sisters elder to him by three years and one year respectively. He did his initial schooling at a prestigious public school in Nainital. A brilliant student and a fast learner he qualified for admission in the country’s most prestigious engineering institution in Kanpur. He continued to excel in studies and won a scholarship in a top Ivy League institution in USA. There was no looking back thereafter! He was recommended by his professor to one of the top Consultancy firms which was advisor to most of the Fortune 500 companies. He had met Shiela an Indian girl pursuing her studies in the Law school next to the institution where Sameer was pursuing his studies. Three years later they were married. Now, they were proud parents of a boy who was pursuing engineering and a daughter due to finish her elementary school the next year. Sameer made rapid strides and in a decade rose to become the Vice President. His forte was stocks and derivatives and ‘hedge funds’. The volume of business grew manifold across the hitherto unexplored geographical terrains in the years following globalization of world economy during mid 1980s and 1990s. Sameer came across Jay an Investment banker who worked with one of the top investment banks. Jay had the privilege to work on the other side of the ‘Chinese Wall’ a barrier which separates the investment decisions from insider information of the company to avoid the conflict of interests. Jay was a bachelor and had the gift of gab, besides being a thorough professional. During mid 2005, ‘ Wiremesh’ a mobile telecommunications company which was growing fast wanted to expand the business for the manufacture of new products to add to the existing portfolio and retained the business consultancy company of Sameer and Jay’s investment bank as advisors. During the strategy meetings of a new product, the two met and soon became friends. After a few meetings, Jay suggested to Sameer that they consider more opportunities for their benefit. Jay called over Felix Stowe, the owner of ‘Barnes Stock Trading Co’ to see if he was interested in doing business with them. In the next few meetings they decided to let the company do trading in the new shares of ‘Wiremesh’ and worked on the formula to share the profit. Jenny who worked with Jay as his co ordinator observed a change in Jay’s behavior and engaged with long calls behind the closed door. She was also one of the employees entrusted with reporting any unusual activities directly to the senior management. The management hired a private detective agency to follow Jay and report if they observed anything unusual. One day, it happened! Rodrigues from the detective agency tapped the call from Jay to Felix. They were discussing the base price of a stock at which a new issue was planned. He reported the matter to the bank and they in turn tipped Federal authorities. The new equity issue appeared on the stock exchange three weeks later and was oversubscribed . A major chunk of investment was funded by Sameer and Jay through the front of Felix. After, a lapse of time the firm allotments were made and the share had already appreciated by $5 per share. The investors, Jay, Sameer and Felix made huge returns and decided to celebrate the event at a private party in a suite of Hotel Waldorf Astoria ! The party was in full swing when the FBI team swooped on the suite with the arrest warrants of all three of them! The gentle knock on the door shook the earth below the three investment genius and FBI team asked them to accompany them to the head office. In a matter of few hours the news was abuzz with the media speculation on the reasons of taking away of the top three investment wizards! The lengthy court proceedings followed while each one of the accused was let out on a personal surety running into half a million dollars. In the earlier week Jay was indicted for having committed breach of trust and was sentenced to ten years in prison. Felix too was awarded a sentence of 5 years but the judgment in case of Sameer was reserved! Shiela, who had just returned from shopping, rang the bell after using the access card at the main gate and the lift. She was horrified to hear the sound of a gunshot from the room! A crimson color was spreading on the floor as a cherished magical ‘American ‘ dream came to an end! luckily, for most people, the american dream is a "smaller" dream... a home, a nice family, things like that. Sad :( As they say, everything is okay if it is done in limits. Latha who would not like your kind of American dream:)Thanks a lot! That's really an engaging read. It can be made into a movie. Finance is a tricky field and once you mess, there is no escape in US. Though in India the penalty for economic offenses is a joke. Too Good. I loved it! Saru I think I passed this tough test to have got a raving review in an area of your expertise:) Thanks a lot for those kind words! The plots are thicker. Aren't you getting better with each story! :). Ah! money matters! And how soon everything can come crashing down. Good one, Mr. Bhatia. With readers/writers like you Divya, some qualities get rubbed in with time:) A sincere thanks for those lovely words! Wow! That kept me glued. Rahul, I dont like reading stories on the computer; its weird but somehow I tend to lose concentration. But with this, I didnt catch a wink even. Superb! Sad... Another spectacular narration from you! You are a great narrator! I loved this post! I am honored Francesca with your kind remarks! I guess everyone has a different route to that american dream..
As reading this , I could envision a Hollywood play-by-play of every scene, your excellent narration would make for a compelling screenplay! Its amazing how one moment you can be at the top of your game and career and the next thing it all comes crashing down. Its sad but one always reaps what one sows, and in the (sometimes amoral) field of finance I guess that is even more true. Good and riveting read! & THEN COME CRASHING DOWN-- GREED IS THE CAUSE OF SO MANY DOWNFALLS!!!!! Thanks a lot Indu! When people reach the top they at times feel that they have become a law unto themselves and then with one act the world comes crashing down! Wow Rahul what can I say. Sad but very true. We lose sight some times in what we do. Beautifully woven story similar to Rajaratnam & Rajat Gupta cases.Very well narrated. Hope Rajat doesn't have to hold a gun to his head ! Yes I agree. I immediately thought of Rajat as he happened to be my classmate for 5 years at IIT Delhi. Such a beautiful story! You have a very good style in writing!! Thanks Alessia for those generous remarks! Your story writing skills are superb. You seem to be super talented, writing interesting travelogues, poems and now stories too. Thanks for sharing this story with us. It was really interesting. Wow Zuzana, that was quite a compliment:) A very big thanks... Have a lovely weekend. You are a good writer Rahul. I enjoyed reading the story. Thank you for sharing. Thanks for your comment, have a wonderful weekend! Rahulji, that story had a lot of details true, like inference to the Chinese wall. Very fascinating and so well researched. The end dramatic and very fitting. But again dreams are good, but should have boundaries. Such a pity, so much talent but no limits. PS: I loved to see my name in your story. Like always you read through all details but for me this was perhaps most challenging post to put across an abstract subject of Finance in very few words without loosing the story line. You know how important you are hence your name appeared here:) My sincere thanks once again! Thanks a lot Jerly that you liked despite a sad end! Your writing skills just shine through this post Rahul..I have seen several American dreams ending with a positive note and a few ending with such disasters as well. Personally I like the positive ones since my whole family has gone with that dream and achieved success. Thanks a lot Padmaja and most cherish an American dream of a good life! An American dream gone sour. To most, An American dream is a comfortable job, a nice home, a family and a dog :). Some dreams with greed turn sour, Rachna! clearly shows how dreams can turn into disasters..
twists and turns.. and whole new world awaits u.. Awesome read as ever !!! Nice to have a sight of your lovely comments like that of a moon on Eid! A huge thanks Jyoti and am happy you liked it! Oh, well written! Very dramatic. you narrated so well..! great writing..! the way you framed the plot was just amazing! Great story and great moral! Rahul..." El sueño americano "
Thanks a lot, Izdiher for finding time to read:) Eid Mubarak! Thank you, Arti for those ever encouraging words! Loved the story Rahul sir!!! Great read, Rahul. I fondly imagined it as a movie. I could visualize the scenes. Ever thought of writing a book? Nice to see you back after a long break Stuti:) Thanks a lot for having liked ! This is not just an American dream, but a nightmare that could unfold anywhere else in the world too. For greed and avarice know no boundaries and can bring people crashing down. you have traced the path high finance very well. Very true Zephyr, that the world of high finance is very intriguing! Also, this happens in all parts of the world when greed takes over and other things are given a go by! Thanks, that you liked this ! Puleese Mr. Rahul, don't paint this as an American Dream. A few crooks like Rajaratnam or Bernie Madoff may have done this. But this is not a real American Dream. 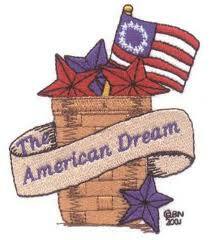 Your post will give a wrong impression of American Dream to non-Americans. You know that this was not a perfect American dream but one which went wrong! If this was the case, then every second human would not die to make America as his / her home!